GABE MAXSON is a teacher, lighting designer, production manager, director, and film producer. 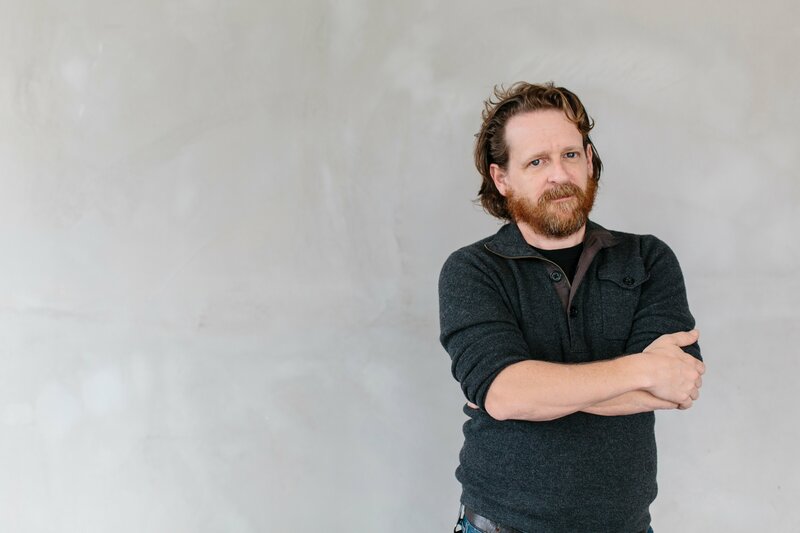 He is an assistant professor of theater, and production manager, at the University of San Francisco, where he teaches theatrical production and design and serves as resident lighting designer. He was an artistic associate at The Wooster Group in New York from 2002-2011. He co-designed, with renowned lighting designer Jennifer Tipton, La Didone (2008), Hamlet (2006), and Poor Theater (2004), and co-created the interactive video installationThere Is Still Time…Brother (2007). Other Wooster Group productions on which he collaborated include revivals of The Emperor Jones, House/Lights, Brace Up!, and To You, The Birdie (Phédre). He toured extensively with the company, premiering works in Paris, Brussels, Barcelona, Berlin, Amsterdam, Basel, Athens, Moscow and Warsaw, as well as multiple U.S. venues including The Public Theater, NYC, and The Goodman in Chicago. Most recently with Wooster, he joined Ms. Tipton in Sarasota, FL, to update the design for a new version of Hamlet at the Ringling International Arts Festival. Recent professional designs include Hope Mohr Dance's Manifesting at ODC, Anna Deavere Smith's Notes From the Field: Doing Time in Education at Berkeley Rep/YBCA (early showings), Terminus (Jon Tracy, dir.) at Magic Theater, A Raisin In The Sun (Patricia McGregor, dir.) and The Tempest (Jonathan Moscone, dir.) at Cal Shakes, The Convert (Jasson Minadakis, dir. ), Circle Mirror Transformation (Kip Fagan, dir.) and Good People (Tracy Young, dir.) at Marin Theatre Co., Carey Perloff’s Higher (World Premiere – Mark Rucker, dir.) at A.C.T., Assassins (Susannah Martin, dir.) at Shotgun Players, Mark Jackson & Beth Wilmurt's The Companion Piece at Z-Space, Paufve Dance's Strangers Become Flowers , So I Married Abraham Lincoln and That Obscure Subject of Desire at ODC and DMT, Les Liaisons Dangereuses at Porchlight Theater, and Hunter’s Point at Strange Angels. With wife Michelle Maxson, he was co-founder and director of SPi Theater Company. Directing credits include Becoming Natasha at the Culture Project (NYC), Irene Fornes' Oscar and Bertha at Festival Istropolitana, and the American/Slovak production of The Oresteia (co-directed with the celebrated Polish director Henryk Baranowski). Also with SPi, he co-wrote the original play Unwon and produced and performed in the American premiere of Jumping the Gun by Gábor Görgey. As a resident artist at San Francisco’s Climate Theater, he directed and co-created (with Michelle, also a resident artist at Climate) They Are Bad People, a multi-media character dissection of conservative TV personality Ann Coulter. Gabe is associate producer of the award winning feature film Burn Country starring James Franco and Melissa Leo, and co-producer and 2010 Emmy Award nominee on the award-winning documentary film Fixer: The Taking of Ajmal Naqshbandi (HBO Documentary Films, 2009, NYTimes Critics’ Pick), directed by Ian Olds, Independent Spirit Award winner for Occupation: Dreamland. Maxson is a recipient of a 2009 TBA CA$H Grant and a three-time recipient of the Bay Area Lighting Artists in Dance award. He holds an MFA from the University of Tennessee at Knoxville.